Dark Blue #4 made of? 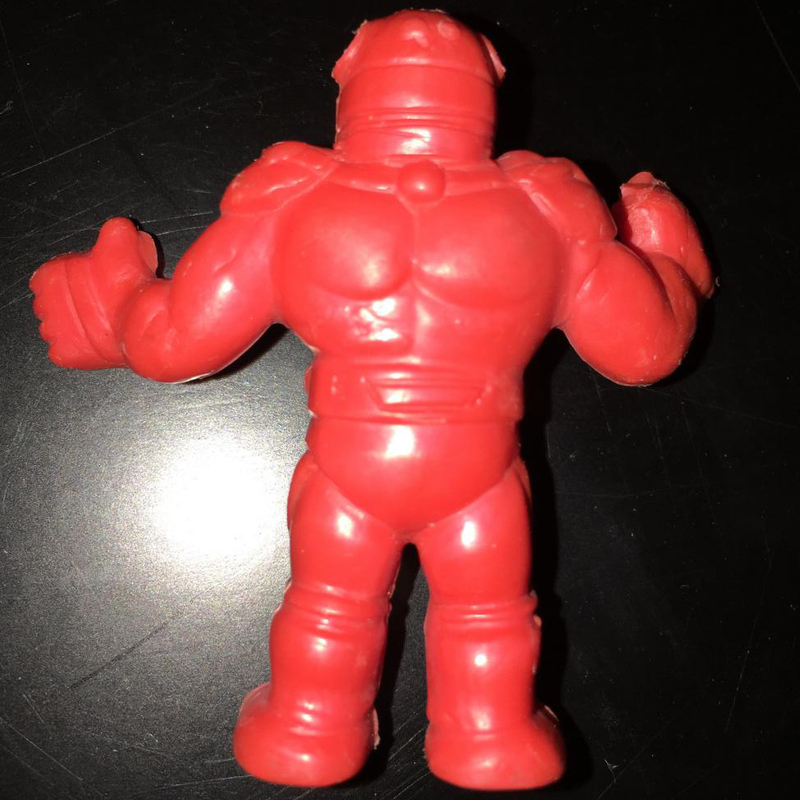 Has any other MUSCLEMANIA collector ever come across this type of material with a MUSCLEMANIA figure? 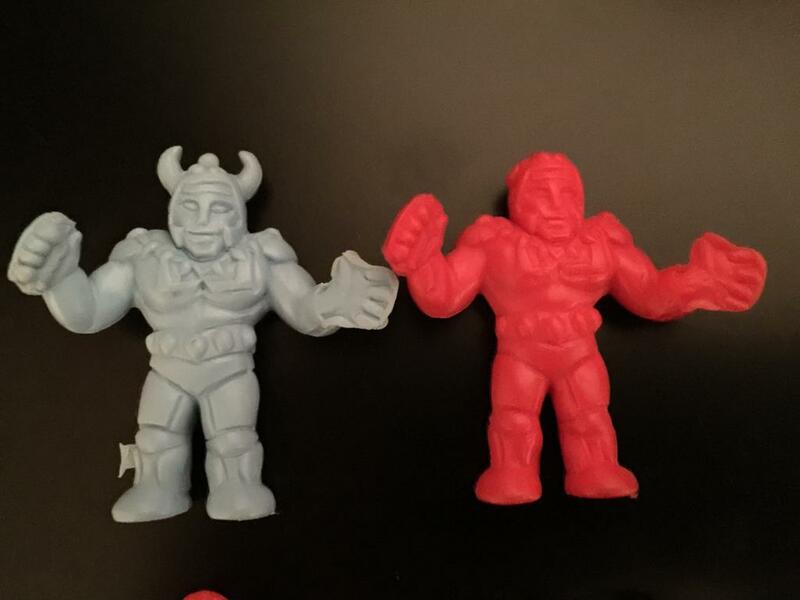 The type of material was a much more stiff and rigid plastic than the normal Firm MUSCLEMANIA figure. The plastic had an almost waxy, army man plastic quality to it. One year and four months later someone answered the question on littlerubberguys.com. 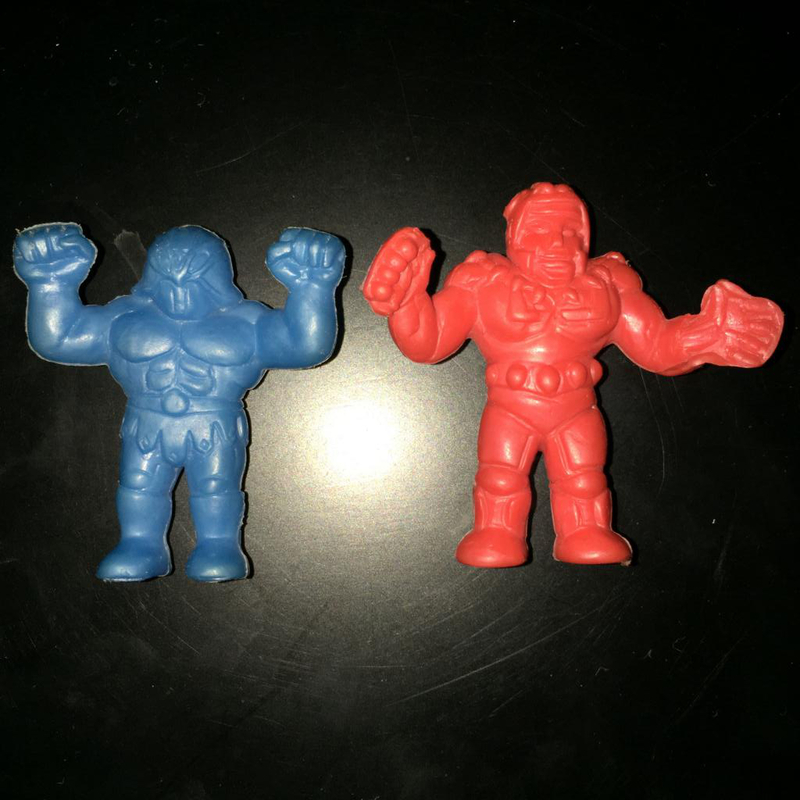 The someone, TanRnet, said he had received two odd MUSCLEMANIA figures that met that same unusual waxy criteria. 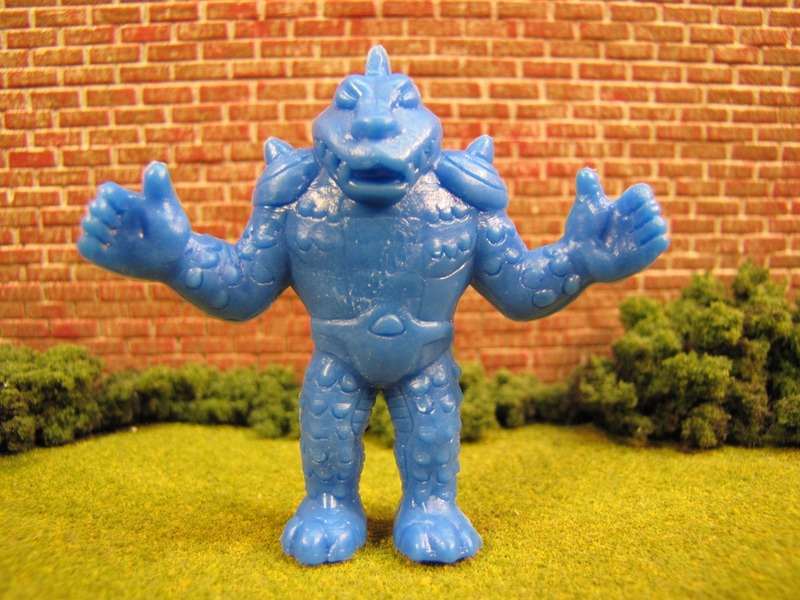 His figures appeared to be missing some pieces; which is not unusual for MUSCLEMANIA figures. It was not 100% clear if these were manufacturing errors or the outcome of “customizing” kids (also known as toy torture). He did mention that the Select markings on the back of the figure seem to be missing. This is a common indicator of a counterfeit/bootleg figure. 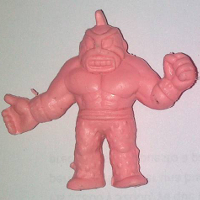 However, a poor mold is not terribly unusual for a MUSCLEMANIA figure; which could be another possible explanation. 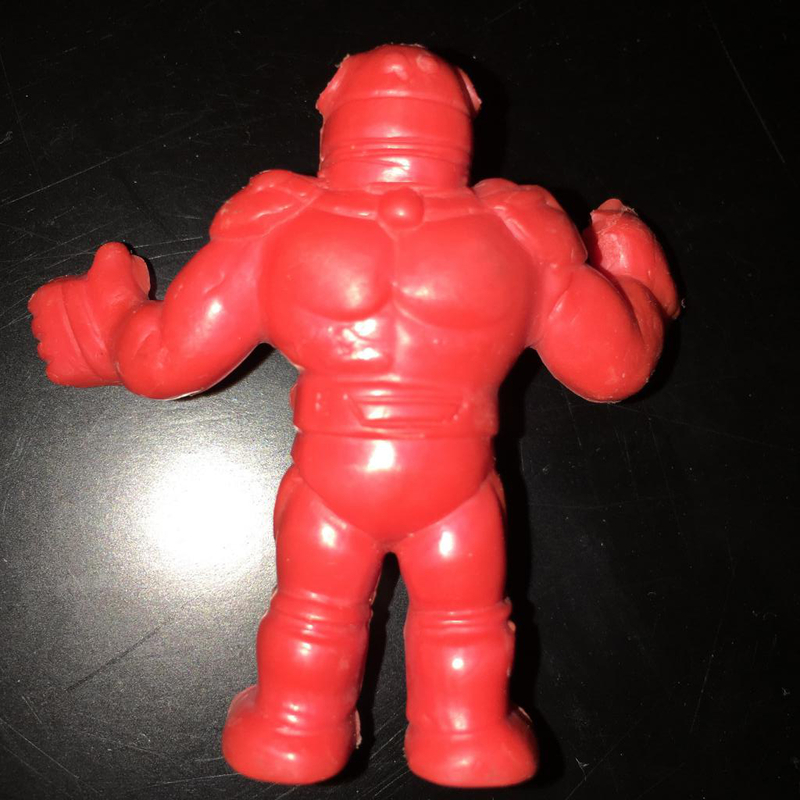 However, TanRnet also pointed out another MUSCLEMANIA figure that had been sold in September of 2014 and was purported to be a counterfeit figure. It was from Mexico. Sadly there are not any additional details. No information about the type of plastic, markings, size, etc. And worst of all the Flesh color is one of the many MUSCLEMANIA colors. 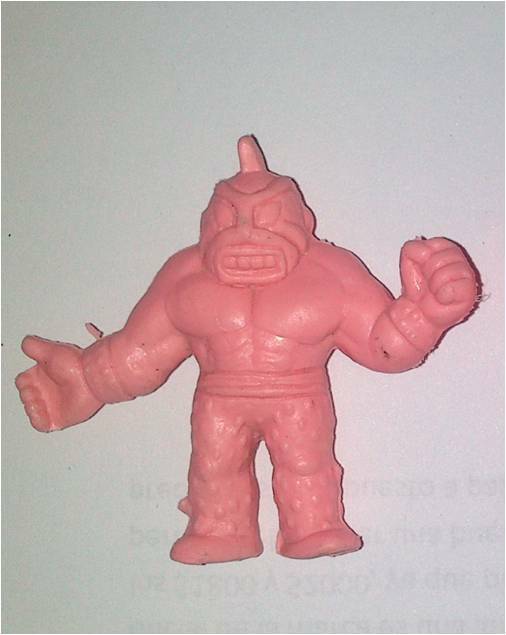 Inexpensive, fairly simple, low quality copies of toys are often broadly credited as bootlegs from Mexico. It makes it very easy to suggest that these odd MUSCLEMANIA figures simply come from Mexico and must be bootlegs. Given the obscure nature of MUSCLEMANIA it seems reasonable that collectors would not come across many examples. 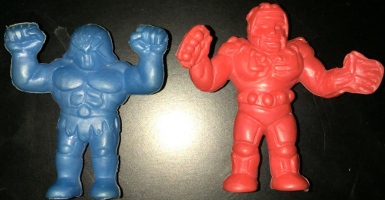 But the greatest argument against these figures being counterfeit – the quality of the plastic is vastly superior to the Stretchy versions. Arguably it is as good, or better, than the Firm versions. 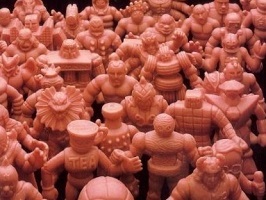 Confirmation of counterfeit MUSCLEMANIA figures seems like an impossible dream, but so did speaking with Joe Morrison. 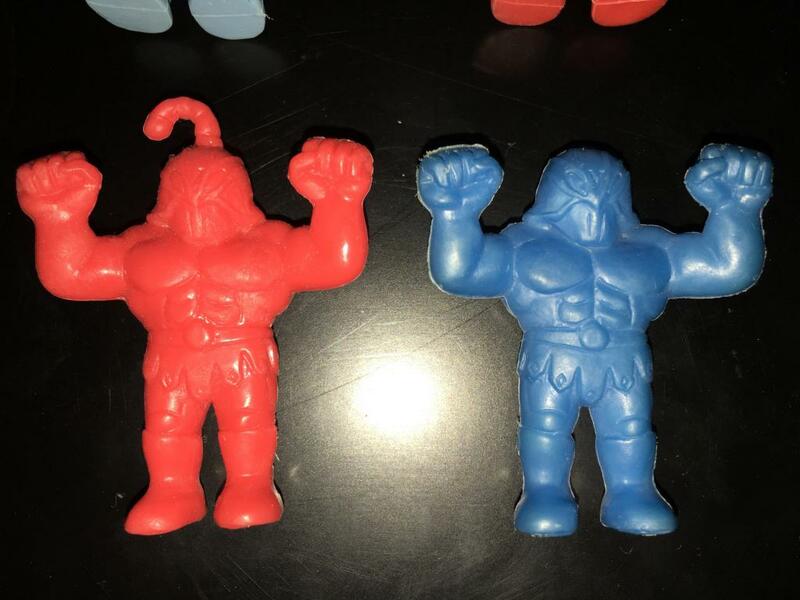 In the meantime collectors should check their MUSCLEMANIA figures. 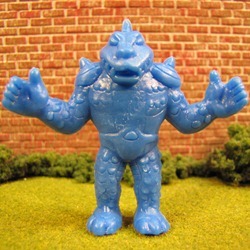 Do you have any of these waxy, army-man plastic? 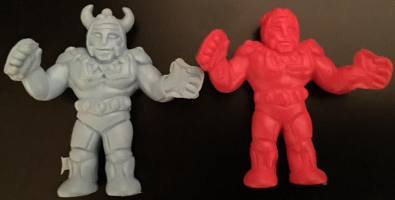 And what do you think these figures could be? This entry was posted on Thursday, January 8th, 2015 and is filed under Anthropology, Research, UofM News. You can follow any responses to this entry through RSS 2.0. You can skip to the end and leave a response. Pinging is currently not allowed. Hey, cool to see an update these. I have some more pics if you want me to send your way. 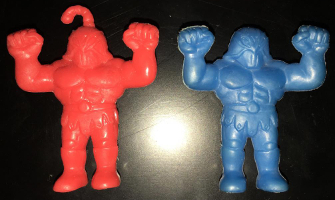 The more I look at them I think they legit musclemania figs. The missing head parts do not appear to be cut off from what I can tell.